One of the many roles of a nurse is to make sure patients are well cared for and comfortable. After all, many people decide to go into the field of nursing to help people, and what better way to help patients than to make sure they have everything they need to be comfortable during treatment and recovery? In Katharine Kolcaba's Comfort Theory of Nursing, the focus is on patient comfort. And though her theory is relatively new, it is one that will seem to be useful in a wide variety of nursing settings. Katharine Kolcaba was born in Cleveland, Ohio in 1944. University in 1987. In 1997, Kolcaba earned her Ph.D. in Nursing, and received a Certificate of Authority as a Clinical Nursing Specialist. Her education specialized in Gerontology, End of Life and Long Term Care Interventions, Comfort Studies, Instrument Development, Nursing Theory, and Nursing Research. Kolcaba is currently serving as Associate Professor of nursing at the University of Akron College of Nursing. She has received many awards, including the Cushing Robb Prize from Case Western Reserve University in 1987 for outstanding work in a Master of Science in Nursing program and the Advancement of Science Award from Midwest Nursing Research Society for End of Life and Palliative Care Nursing in 2003. In 2005, she was awarded the Mary Hanna Journalism Second Place Award in the Best Practice Category by the American Society of Perianesthesia Nurses for a co-written article published in the Journal of PeriAnesthesia Nursing. She was also given the Marie Haug Student Award for Excellence in Aging Studies from Case Western Reserve Univeristy in 1997. Most recently, she was given the Researcher of the Year award with Dr. Therese Dowd from the Delta Omega Chapter of Sigma Theta Tau in 2006. Since retiring from teaching, Kolcaba has focused on volunteering with the American Nurses Association and the Honor Society of Nursing, Sigma Theta Tau. 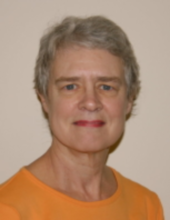 Her publications include Comfort Theory and Practice: A Vision for Holistic Health Care and Research . Kolcaba developed her nursing theory in the 1990s. It is a middle range nursing theory designed for nursing practice, research, and education. According to her theory, patient comfort exists in three forms: relief, ease, and transcendence. These comforts can occur in four contexts: physical, psychospiritual, environmental, and sociocultural. Relief comfort usually comes in the form of pain management through medications. When medications are administered, the patient has a sense of relief from the pain. Ease comfort is focused more on the environment and psychological state of the patient. For example, after issues of anxiety are addressed and dealt with, a patient feels at ease. Finally, transcendence comfort comes when a patient is able to rise above challenges that occur in care and recovery. In this theory, the role of a nurse is to assess a patient's comfort needs and create a nursing care plan to meet those needs. As a patient's comfort needs change, the nurse's interventions change, as well. Through this method, nurses are able to ensure their patients are properly cared for, and that they are comfortable. If a patient is comfortable, he or she will feel emotionally and mentally better, which will aid in recovery.